The former U.S. soldier James Joseph Dresnok, who defected to North Korea in 1962 by crossing the heavily fortified Demilitarised Zone, died last year, his sons said. He was one of six American soldiers to defect after the Korean War. 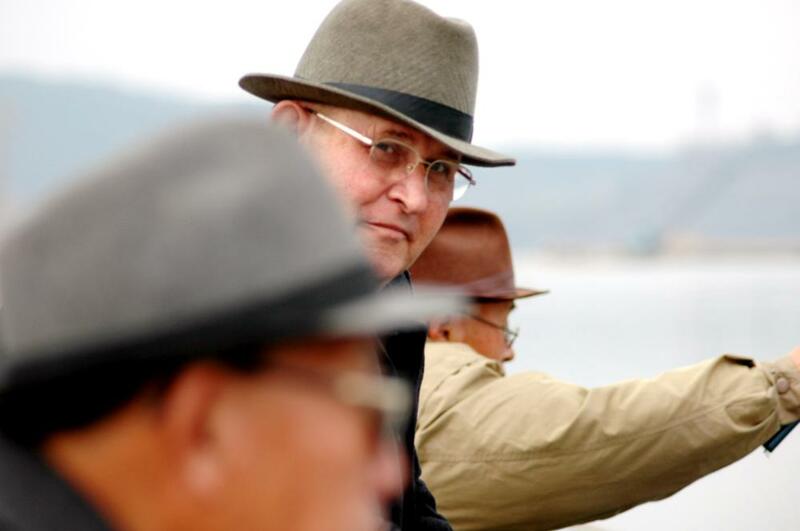 After defecting, Dresnok worked as an actor in North Korean propaganda films, some directed by Kim Jong-il, and as an English teacher at Pyongyang University of Foreign Studies. He was featured on the CBS magazine program 60 Minutes on January 28, 2007, as the last United States defector alive in North Korea. He was also the subject of a documentary film, Crossing the Line by British filmmakers Daniel Gordon and Nicholas Bonner, which was shown at the 2007 Sundance Film Festival. Dresnok's spent two years in West Germany which was his first overseas deployment. After returning to the U.S., he found out that his wife had left him for another man. He reenlisted and was deployed to South Korea. He was a Private First Class with a U.S. Army unit along the Korean Demilitarized Zone at the 38th parallel, between North and South Korea in the early 1960s. Soon after his arrival, he found himself facing a court-martial for forging signatures on official paperwork that gave him permission to leave the base which, ultimately, led to his going AWOL (Absent Without Leave) due to his unwillingness to face the punishment. On August 15, 1962, he ran across a minefield in broad daylight into North Korean territory while his fellow soldiers were having their lunch. Later he was apprehended by North Korean soldiers and was taken to Pyongyang, the North Korean capital by train for further interrogations. Along with other defectors - Abshier, Jerry Parrish, and Charles Robert Jenkins - he appeared on state's magazine covers and tried to persuade American soldiers to defect by using loudspeakers at the border. 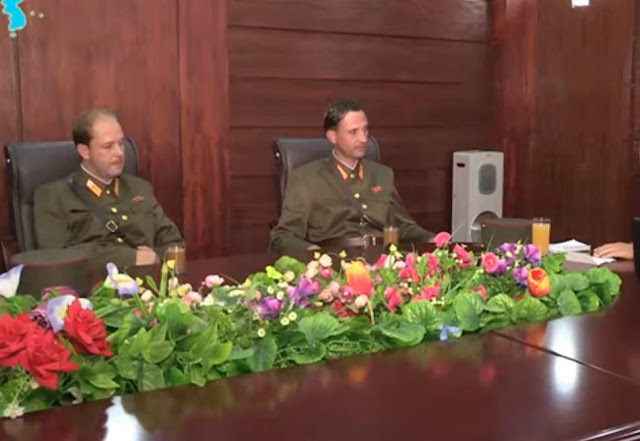 In 1966, the four men tried to leave North Korea by seeking political asylum at the Soviet embassy in Pyongyang, but the embassy immediately turned them over to North Korean authorities. In a video interview posted on the state-run propaganda website Uriminzokkiri - Theodore "Ted" Ricardo Dresnok and James Gabriel Dresnok, his two adult sons from his Romanian wife - Doina Bumbea who reportedly died of lung cancer in 1997, confirmed that their father suffered a fatal stroke in November last year. Image Attribute: Video screen grab posted on the state-run Uriminzokkiri website of Ted and James Dresnok, revealed their ex-GI father James Joseph Dresnok suffered a fatal stroke in November 2016. “Our father was in the arms of the republic and received only the love and care of the party until his passing at age 74,” said Ted Dresnok, the elder sibling. Both brothers were born in North Korea and spoke Korean with a heavy northern accent. Their comments were similar to those of North Koreans, who normally only express officially approved sentiments when speaking to the foreign audience. It was the brothers’ second appearance on the program after they praised the country in an interview in May 2016. After Bumbea's death, Dresnok married his third wife, the daughter of a North Korean woman and a Togolese diplomat. They had a son in the year 2001. The family lived in a small apartment in Pyongyang, provided along with a monthly stipend by the North Korean government.